Mandala fun. This is just a bit of fun and inspiration for you to try. Have you tried colouring in apps? Oh my gosh, they are so much fun. Or is it more fun using real felts? or colouring in pencils? I just can't pick! I love it! Here's an app I've been using. Have you found a better one? This stuff is actually really good for you! I'm doing it in the evenings and I love it sooo fricken much!!! What are the benefits of coloring (mandalas) for adults? Coloring is an activity that a lot of people have enjoyed as a hobby during their childhood days. It can invoke the body’s so-called “relaxation response”. Moreover, recovery from strenuous activities and fatigue can be triggered by this activity. Once the relaxation response has been activated, the nervous system will calm down and relax. This is why many parents resort to giving coloring books to calm their children. However, coloring books have been a favorite not only of little children, but also of working adults. 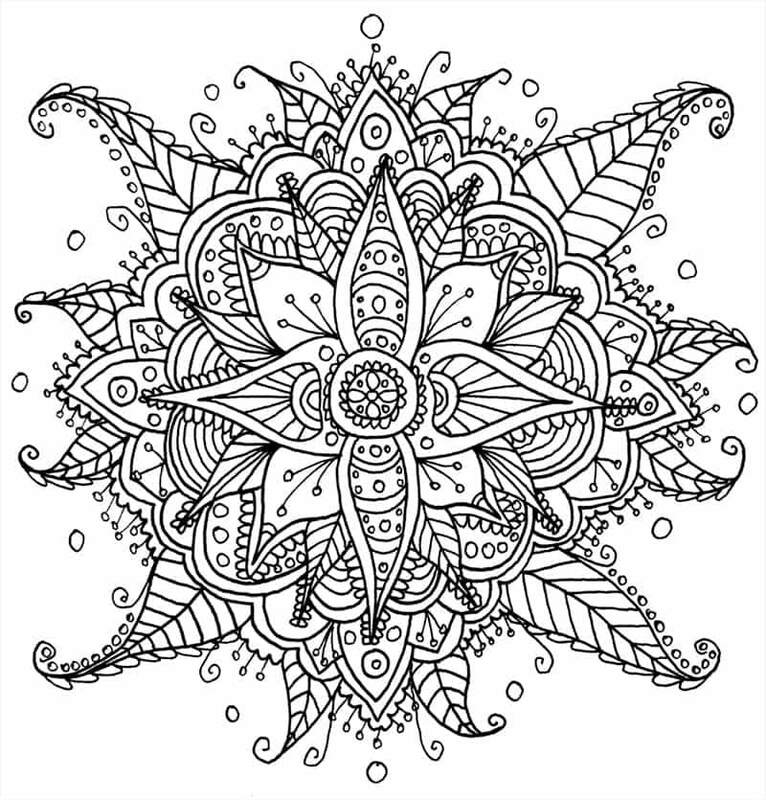 The most popular coloring pages for grownups are mandalas. To begin with, mandalas are considered as sacred circles. It is a Sanskrit word meaning center or circle. Mandalas are spiritual symbols well-known in most Indian regions. To them, these represent the whole universe. Moreover, these were used by ancient Indians for creating a holy space, and for aiding sleep and meditation processes. To date, many people still believe that these diagrams, geometric designs, and charts signify the cosmos. Mandalas usually have the form of a square with a circle inside four gates. Moreover, they frequently display radial balance. This article will discuss the various benefits of coloring mandalas. 1. Stress reductionCombatting stress is a difficult task, especially for those who cannot even find time to relax. Nevertheless, mental health should not be taken for granted, and any sign of serious stress-related effects must be addressed. Seeking professional help is the most effective solution; however, for people who cannot afford the expenses and time to visit a therapist, coloring mandalas might be a good option. The first and most significant effect of coloring mandalas is the reduction of stress among adults. Carl Jung, one of the pioneers in researching the healing benefits of coloring books, discovered that this activity helps people to be calmer and to experience lesser levels of stress. Coloring mandalas allows the brain to enter a peaceful state and to be focused on filling in the geometrical shapes instead of thinking about their worries. 2. TherapyColoring mandalas falls under art therapy. This specific type of therapy utilizes non-verbal means of communication to help the patients express themselves comfortably. Through art, people who have dementia and post-traumatic stress disorder (PTSD) can release their frustrations, and those with speech problems can communicate their feelings better. Coloring mandala pages is also ideal for those suffering from neurological disorders such as epilepsy. Studies show that in order to calm down or concentrate, many epileptic patients use coloring books to aid them. 3. 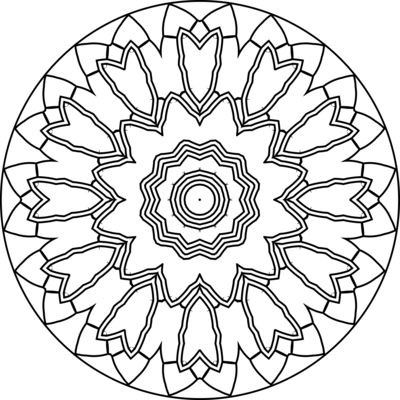 Meditation alternativeMany psychological studies show that coloring and creating mandalas have the same effects that meditation has. Many people nowadays struggle to find time and personal space for meditation, so they turn to coloring books. 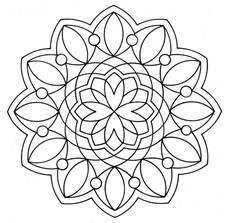 Moreover, mandalas are especially relaxing to color because of their circular patterns and geometric shapes. These features allow a person to be relaxed and worry-free – the exact result of meditation. Moreover, this activity is an option so that a person can do something without serious and stressful mental exertion. Additionally, many people consider coloring as an alternative to meditation itself. Unreal as it may seem, coloring mandalas can balance the body, spirit, and mind. It connects a person to himself. Self-awareness is increased and one is given time to be alone with his or her thoughts. This way, the person can reflect and meditate in a calm, peaceful way. 4. Exercise for the brainHowever, coloring mandalas is not just for reducing anxiety. Coloring mandala pages helps the brain to stay focused because this activity uses both sides of the cerebral hemisphere. Logic and creativity are both involved – logic is used to select a specific color for a pattern or shape in the mandala and creativity is used to combine and match these colors. Coloring detailed pictures triggers the properties of the frontal lobe to assist in the development of organizational and problem solving skills. Moreover, complex details of mandala pages enable the brain to balance the color scheme, ensuring that the result is aesthetically pleasing to the eyes of the person who colored it. Frequently practicing both the analytical and creative side of the brain can also help enhance motor and coordination skills, as well as regulate the vision. 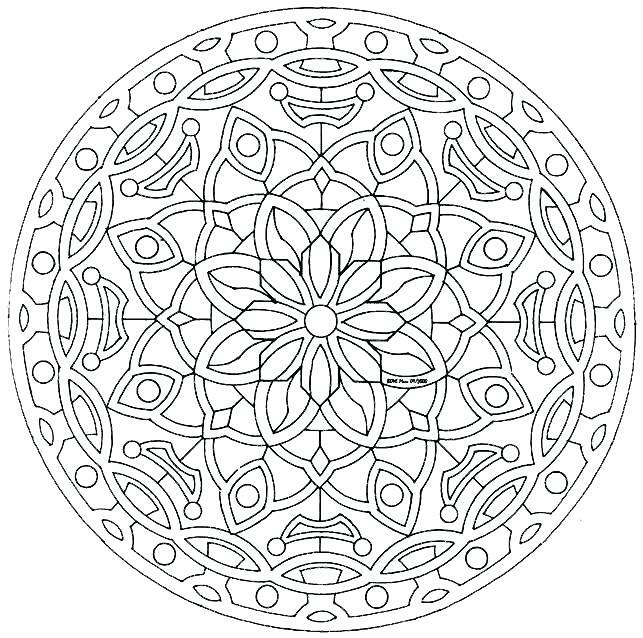 Coloring mandala pages can retrain and exercise the brain in a fun, creative way. 5. 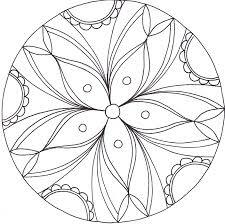 Personalization and creativityColoring mandala pages also exercises the ability to personalize and recreate one’s self. Every page of a mandala book allows a person to add a touch of identity into it. A page may contain beautiful forest images, kaleidoscopic arrangements, and many other relaxing sceneries. Moreover, because it is a personal book, one can choose his or her desired designs and color them depending on his or her mood and liking. Creativity plays an important role in the decision-making of an adult. Creativity triggers calmness, which in turn, helps to decide wisely. Adults usually face difficulties and they fall into depression, but creativity helps them create a positive outlook in life. Additionally, professionals in the various industries engage themselves in coloring sessions because it is proven to spur creativity and develop group focus, most especially during big, major projects. 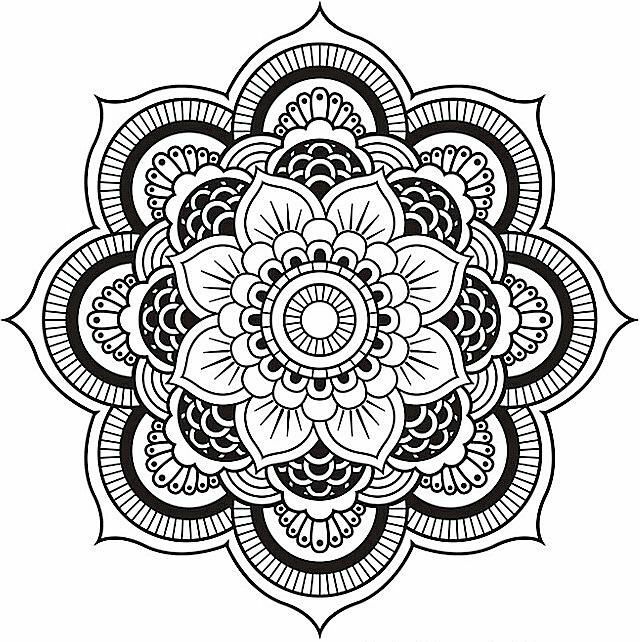 Choose Mandala BooksApart from religious purposes, mandalas are used to encourage relaxation, promote healing, and enhance creativity through coloring them. Furthermore, these geometrical patterns and concentric circles are said to be the reflection of the person creating or coloring them. Coloring mandalas can help a person spiritually, emotionally, and mentally. Men and women across the world consume their time doing office work and wearing out their bodies just to make ends meet. Work obligations, traffic, deadlines, and financial difficulties are just a few of the reasons why the mental wellness of the working people are sacrificed. Moreover, these stress-causing factors have a negative impact on a person’s mindset and total well-being. Coloring mandala pages can help maintain and develop the mental wellness of a person. Coloring mandalas is a rising trend today, but unlike other fads, this activity is actually helpful. 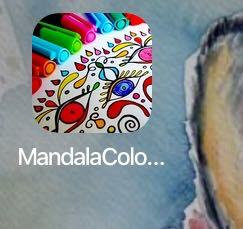 Moreover, coloring mandala pages allows the mind to rest and recover from a stressful day. Print out some templates to colour... With just a clean sheet of paper, printer, and crayons, one can already engage in this creative and therapeutic activity at home. Be renewed and have a little break from daily routine by coloring mandalas today.